Registry Tweaks – Windows 2008 R2 Workstation! 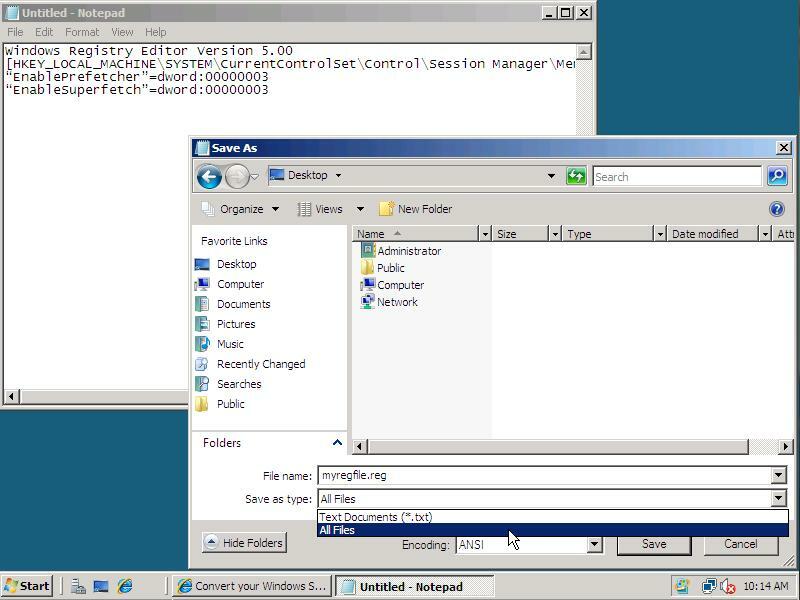 Instead of using all tutorials to configure your Windows Server 2008, it is also possible to apply the configuration changes by importing a .reg file into the Windows Registry. 1. 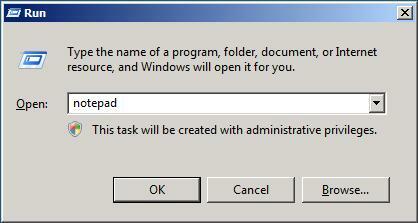 To create a .reg file from the following registry values, choose Run from the Start menu, enter notepad and click OK.
2. Copy the contents of a Registry Tweak block from this page and paste it into notepad. 3. In the File menu click Save, and browse to the folder you want to save the file. Use as File Name myregfile.reg and select All Files in the Save as type dropdown box. Now click Save. 4. Browse to the folder where you saved the .reg file in and Doubleclick it. If you get a confirmation, click Yes to import the file into your registry! If you import this registry file you can skip step 1-4 on the Enabling SuperFetch page.